Quite often your shoes or boots zipper upper part tears your pantyhose. 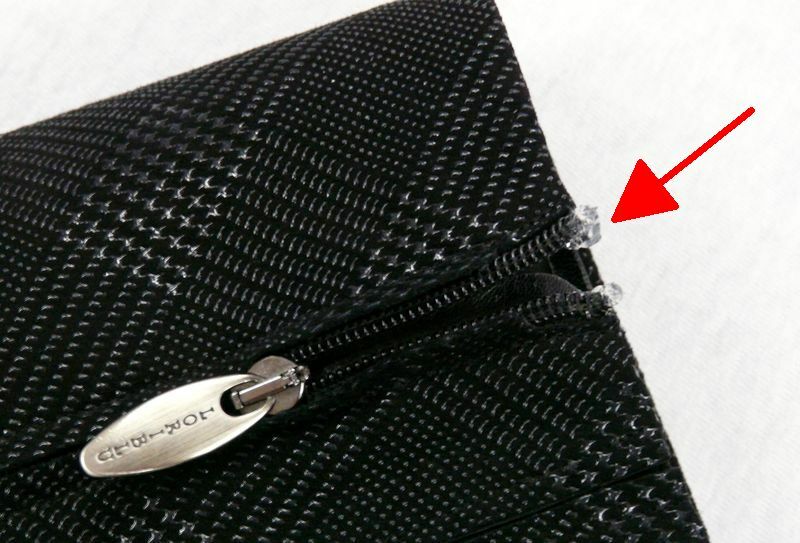 To avoid that, we have to cover all the protruding and sharp edges of the zipper. To do that, apply some transparent silicone sealant on these parts. You may purchase silicone in any DIY or auto parts shop, and it is quite cheap. Leave to dry for at least 24 hours. After that, cut away all the excess silicone with sharp razor blade. You may also paint it with sharpie, matching the color of the shoes. Now the sharp edges a cushioned by elastic silicone pads, and they won’t be able to tear your hosiery anymore.